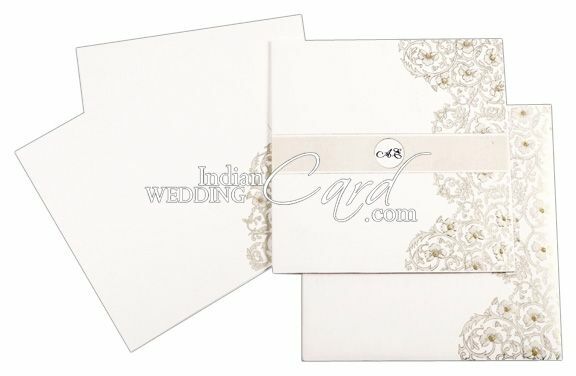 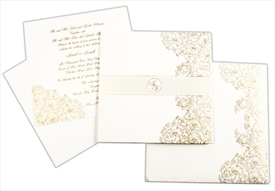 D-3455, White Color, Designer Multifaith Invitations, Anniversary Invitations. 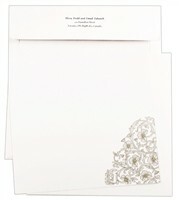 White textured paper (225gsm) for card, interleaf, 2 inserts and mailing envelope. 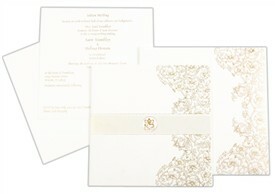 Silk Screen color in gold or any dark color of your choice.